Bethlehem Steel owned and operated Sparrow’s Point as a company town near the expansive mill complex from the 1890s through the early 1970s. In 1916, however, Bethlehem Steel departed from the model of company-owned housing when it commissioned the construction of Dundalk. Initially, the company erected five hundred gray stucco and slate roofed homes on tree-lined streets between Dundalk Avenue and Sollers Point Road. In the center of the community stood a shopping center surrounded by a park. Bethlehem Steel, which had recently purchased the mills and shipyards at Sparrows Point, faced an increased demand for ships as the United States mobilized for the first World War. The need for shipyard workers and the labor force at the plant grew. In Dundalk, workers could purchase their own homes through payroll deductions, enabling lower-tier managers, foremen, and top-tier skilled workers to become homeowners. Originally, Bethlehem Steel sought to replicate Roland Park, an upscale neighborhood in northern Baltimore; but the demands of wartime prompted the company to rely on the United States Navy to undertake the construction. Expediency was key so the Navy opted to build duplexes which could be built much faster than the planned single-family homes. 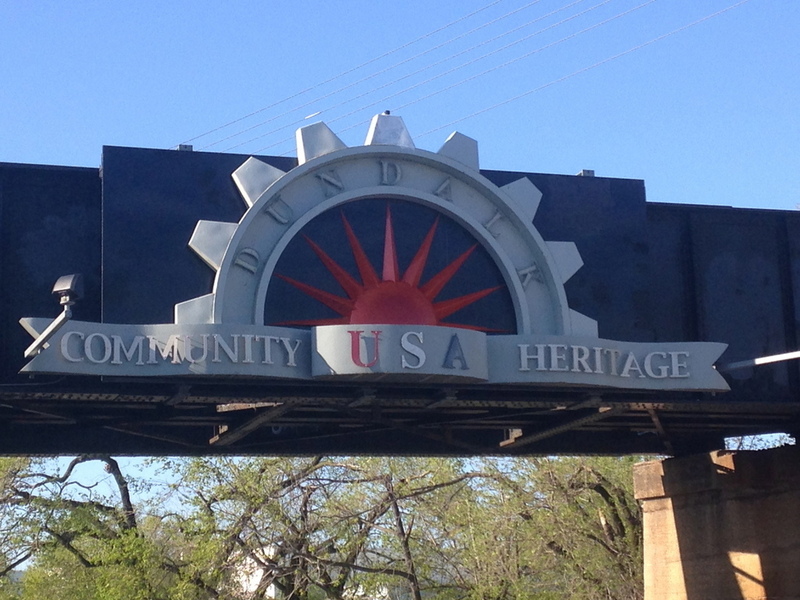 Almost everything about Dundalk was influenced by its connection to the shipbuilding industry—the curved streets extending northward from the town center form the shape of a boat. Street names include Flagship and Midship. In just two years, the population of Dundalk reached 2,000; it would grow to 8,000 over the course of the next decade. In 1924, Bethlehem Steel created the Dundalk Company, a corporation to oversee the company’s real estate. Even as it grew, Dundalk remained a segregated white community and closely tied to the operations on Sparrow’s Point. Rachel Donaldson, “Dundalk Town Center,” Explore Baltimore Heritage, accessed April 23, 2019, https://explore.baltimoreheritage.org/items/show/383. Published on Sep 1, 2014. Last updated on Nov 27, 2018.